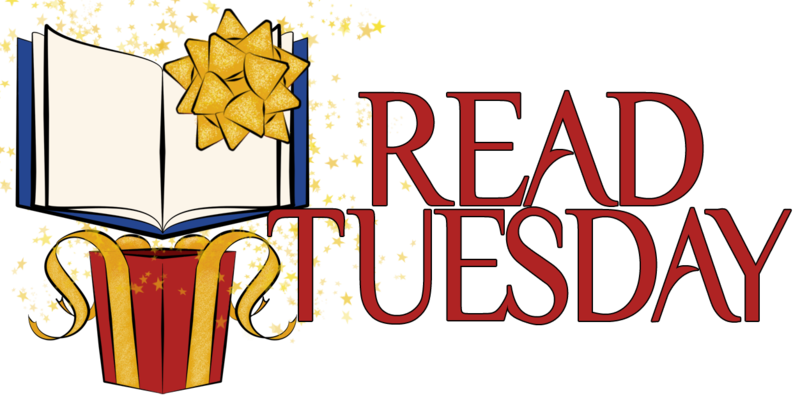 The book catalog for Read Tuesday has been updated. You can view it here. When you check out the catalog, you’ll see that three of the books have the cover photo displayed, but the others don’t (at least, that’s the way it is when I view it with my browser on my computer). You can do this, too. If your book is on Amazon, go to your book’s detail page and find the ASIN number (for Kindle) or ISBN number (for print; 10-digit). The link to do this will have the form http://www.amazon.com/dp/ASIN where the letters ASIN will be replaced with the ASIN or ISBN number. If you’ve already added your book, don’t re-add it. Just send me your link along with the title and author and I will manually correct this for you. You can do this through a comment, the contact us form, or by going to my blog (click the link on my name at the bottom of this post), finding my Gravatar, and emailing me from there—however you feel most comfortable. You could even contact us through Twitter or Facebook. If you haven’t already added your book, what are you waiting for? The red carpet is already laid out for you. 🙂 Just include this link in the website field and your book’s cover will show as a picture in the catalog. However, if your book won’t be on sale at Amazon on Read Tuesday, then you might not want it to link to Amazon when people click on the picture. After you view the catalog, please share any suggestions that you may have. Keeping in mind that the catalog may grow considerably in the coming weeks, ideas that may be efficient to carry out will be particularly helpful. One thing I noticed is that I could number the books to help show the separation between titles; but if we add these cover images, that will also accomplish this. If the catalog grows significantly, I will create separate pages for various catalogs and an index to the catalog pages. Would you like to include your book’s picture in the Read Tuesday catalog? Do you want to include your book in a great one day sale? Get in on the ground floor of this new event. I can’t find my ASIN #. When I go to my book’s detail page, the ISBN # is there but does not link to anything. Maybe I am misunderstanding the instructions. Where is the link to do this? I’ll attach my cover. Will that work so you can upload it? P.S. If you know any 9 to 15-year-olds who like to read, can you please pass on the link to my new mystery? Now available on Amazon. Thank you! Do you want this listed as Children, Teen, Regular, or Mature Audience? Pick a broad category and a narrow category. Where will this be “on sale”? Will it be in print, ebook, or both? Finally, what do you want to use for the description? Here’s the ASIN link to my two books. The link to the site isn’t working for me BTW. It was the link to the ASIN page…did you find it? I had to go into my createspace account and copy and paste this ISBN # because I also had a problem finding it on my detail page – maybe I wasn’t even on the detail page! LOL! Anyway here it is and if it is not the right stuff please let me know! ‘Crossing The Line’ ISBN-10: 1481860577 BTW – your facebook page looks great. Time to clean mine up and get all those links in place. That will work. 🙂 I’ll try to update these tomorrow. Thanks for providing feedback on the FB page.